Use this link. Editorial and/or pictures please. 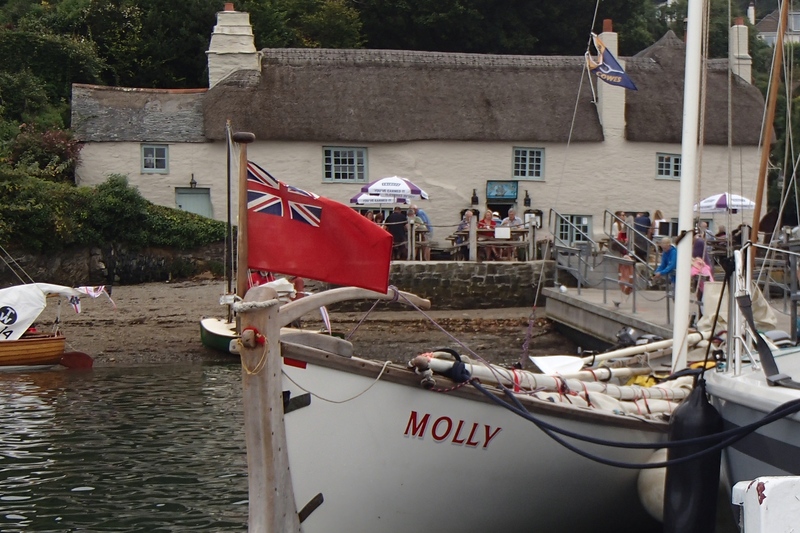 Sunday 31st Aug - "Mollys" arrived at Mylor and were delighted with the facilities and location of their accommodation. - Mylor harbour is only 15 minute's walk down the lane. Other Whalers joined us for supper "at home". Monday 1st. - Dawn was dull and wet (sorry Dawn, no insult intended) but conditions improved as the day progressed. Friendly and helpful welcome from the Registration team. Straightforward launch. Good sail in the afternoon with gentle winds and flat water on Carrick Roads. 18:00 Welcome reception at Mylor Yacht Club. Evening, Starry sky. Mirror-flat water. Tuesday 2nd.- Today dawned brighter than yesterday, and calm though cool - greater grounds for optimism. Briefing and collection of packed lunches outside "Castaways". Lovely cruise inland up the River Fal, and the Truro River (most of the way to Truro). Rather taken aback when King Harry Ferry set out from the starboard bank just seconds before we passed. Turned back at Malpas past King Harry Ferry again. Anchored amongst the fleet for an on-board picnic just off Turnaware Point. Afternoon - Racing in Carrick Roads followed by return to Mylor Yacht Harbour. 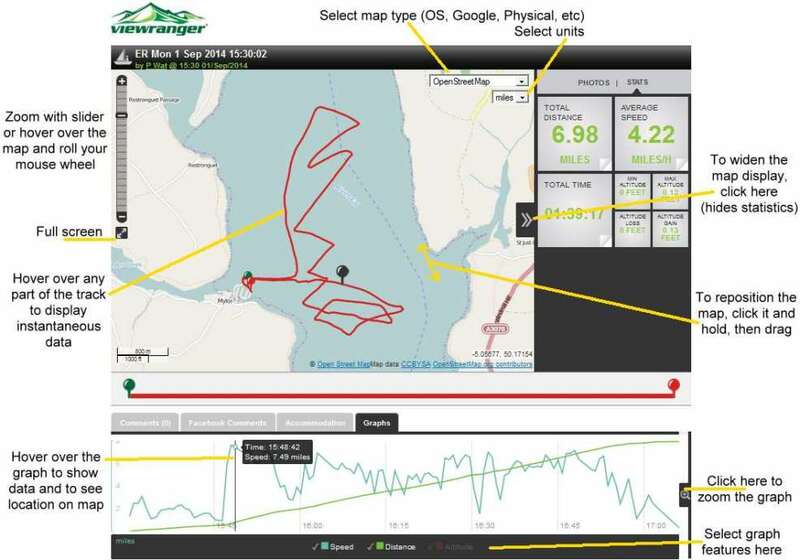 Statistics - Mylor to Malpas & back to Turnaware Point 09:54 – 14:38. Av 2.5, Max 6.5kt, 9.88nm. 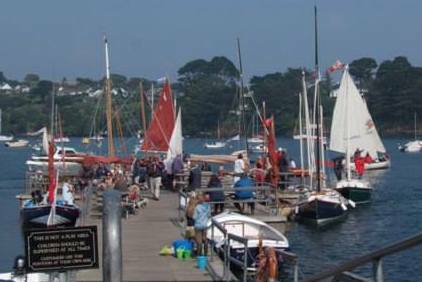 The planned coastal sail out of Falmouth Harbour to Helford, for a pasty lunch on the sailing club lawn, was cancelled due to poor conditions. Inland the conditions were better - dry. Raced from Mylor, down Carrick Roads then back up, into Restronguet Creek and fnished at "Point" where the fleet moored along the quayside. Pleasant lunch stop ashore at "Point" with pasties delivered by the organising team. Rowed to Pandora Inn to wash them down. Afternoon - Racing in Carrick Roads then return to Mylor Harbour. Evening - Supper at "Castaways". Forecast is good for tomorrow (Thursday). Can't believe how lucky we've been with the weather. Apparently, the visibility between Falmouth and Helford had been really poor today so the decision to "Raid" inland was sound. 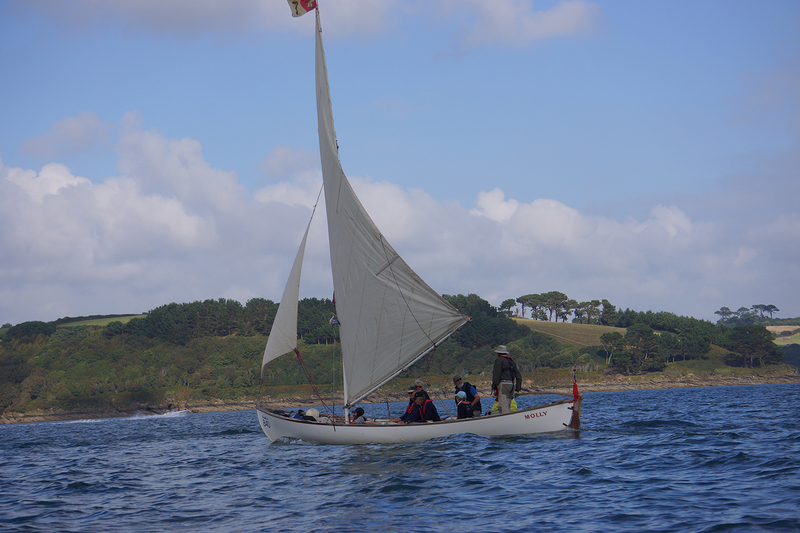 Statistics - Mylor to “Point” (Retronguet Creek) 9:58 – 11:48. Av 3.6, 8.8nm, Max kt. 6.53nm. Re-positioning to Pandora (pre) 13:21 – 13:58. Max 3.4kt. Packed lunch collection and briefing outside "Castaways" again. Sailed from Mylor to St Mawes. Raced from St Mawes to St Just in Roseland. Had lunch on the beach. Afternoon - Sailed from St Just on Roseland, had a brief look into Falmouth Harbour then cruised to Pandora Inn (Restronguet Creek) for Cream Teas. Sailed from Restronguet Creek to Mylor Harbour. De-rigged and rowed to the slipway. Another pleasant day. 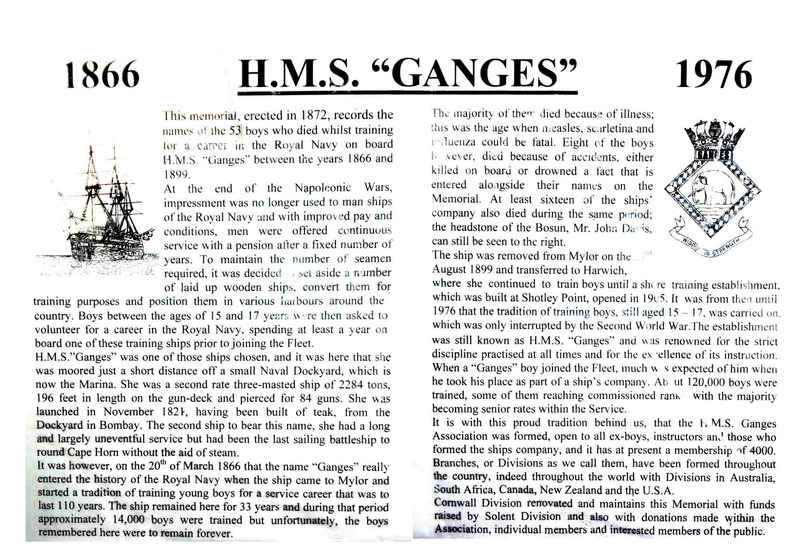 Fair winds and gentle waters. Supper at "Castaways". Speeches, prizes, farewells. Moonlight-assisted 15 minute walk "home". Final supper and Prizegiving at "Castaways"
Friday 5th - Dawn was "misterious" at first but soon became bright and clear. "Mollys" head home but not before topping up with pasties. It had been another really successful English Raid. Thanks are due to the organisers and their team of supporters. Great to meet old friends and make new ones, to admire their boats and to swap notes. Topped off by substantially splendid sailing weather. Or is the forestay tight? Previous Englsh Raids . 2013, 2012, 2011, 2010 (password Molly) & here. "How long did it take to hoist the main?" 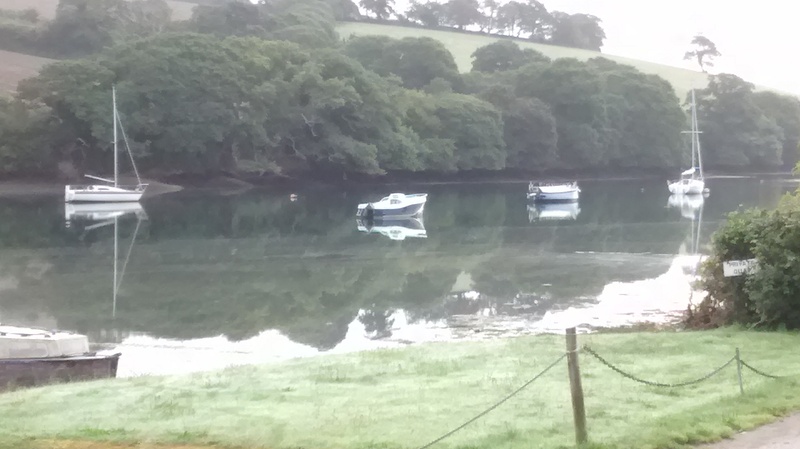 Mon 1st - Mylor & "Carrick Roads". 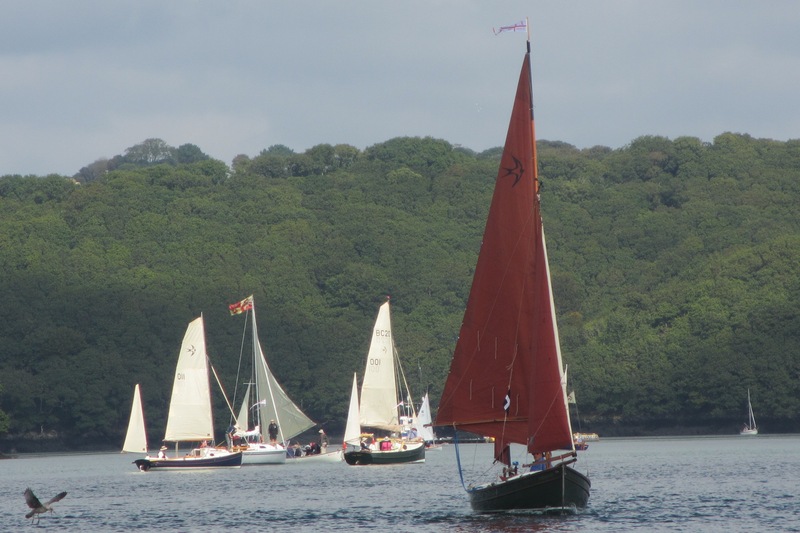 Tue 2nd (1 Mylor, Malpas, Turnaware Point), (2 Turnaware Point), (3, Carrick Roads, Mylor). Wed 3rd (1 Mylor, Restronguet Creek, Penpol), (2 Penpol, Pandora Inn), (3 Pandora Inn, Carrick Roads, Mylor). Thur 4th (1 Mylor, St Mawes, St Just in Roseland, Falmouth, Pandora Inn), (2 Pandora Inn, Mylor). Conversion. 1 Statute mile = 0.87 Nautical miles approx. HOW TO USE "VIEW RANGER"